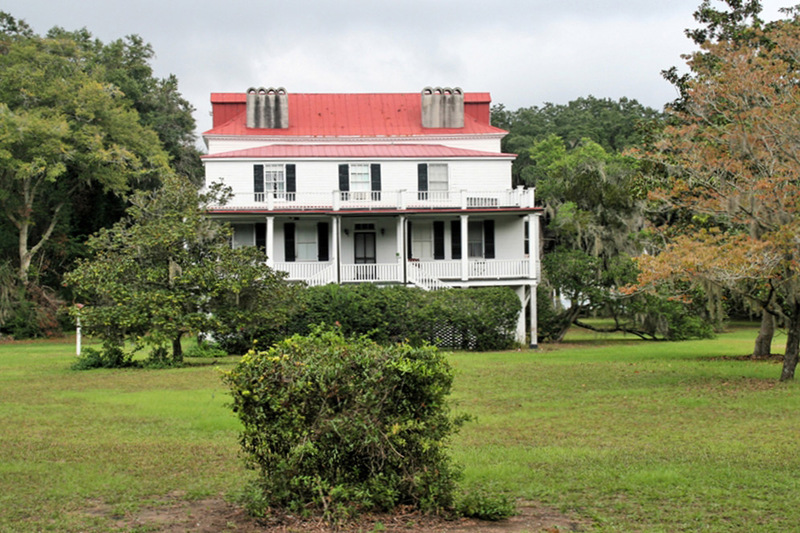 Plantation is located about 4 miles east of Frogmore. 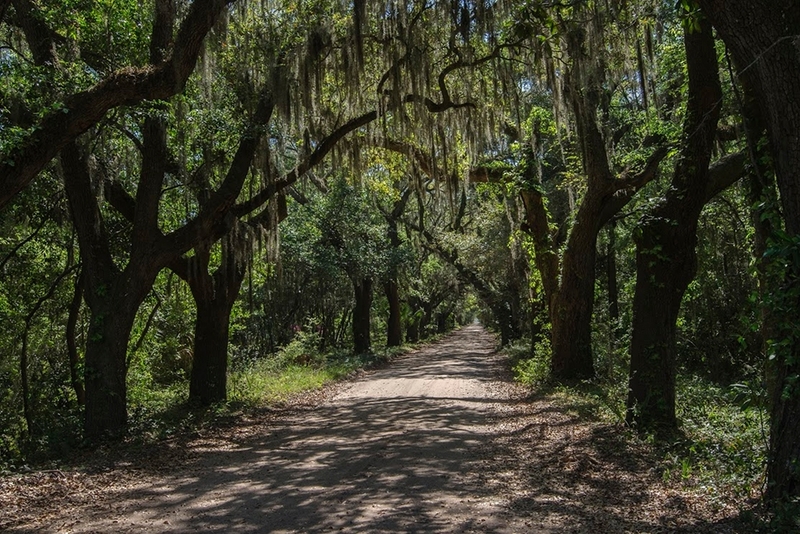 Take US 21 to Coffin Point Road, turn left, and the house overlooks St. Helena Sound. Circa 1801  House built by Boston-native Ebenezer Coffin. Ebenezer married Mary Matthews, daughter of Benjamin Matthews, in 1793. Mary's father gave them 1120 acres and 63 slaves (8, p. 45). 1818  Ebenezer died leaving his substantial estate to be held equally by his and Mary's six children. Son Thomas Aston Coffin became manager of the estate on behalf of the siblings (8, p. 45). 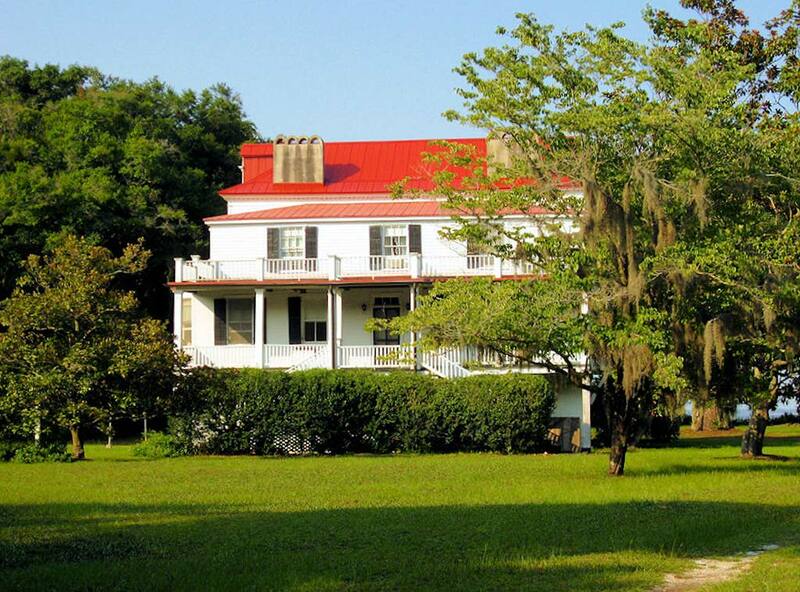 1861  The Coffins were among the sea island plantation families who fled in advance of Union troops, abandoning all their Beaufort County holdings (1, p. 3). 1862  Cotton planting at Coffin Point Plantation became part of the Port Royal Experiment, a program of the United States government designed to train and educate the newly released slaves on the sea islands. Within a short period of time, this plan was terminated (8, p. 45).
?  Edward Philbrick, who had been a superintendent with the Port Royal Experiment, with the financial backing of a group of northern men, purchased eleven properties from the government including Coffin Point (8, p. 46). 1865  Edward Philbrick's attempt to continue farming cotton was not successful and he sold the land. Portions were sold to northern purchasers with some being sold to local African Americans (8, p. 46). 1891  US Senator James Donald Cameron purchased 298 acres of Coffin Point and later purchased an additional 634 acres. He and his wife would winter at Coffin Point arriving in their yacht (8, p. 47). 1892  Cameron had a caretaker's house built on the property (2, p. 3). 1918  Senator Cameron died but Coffin Point remained in the Cameron family for many years though rarely occupied (8, p. 47). 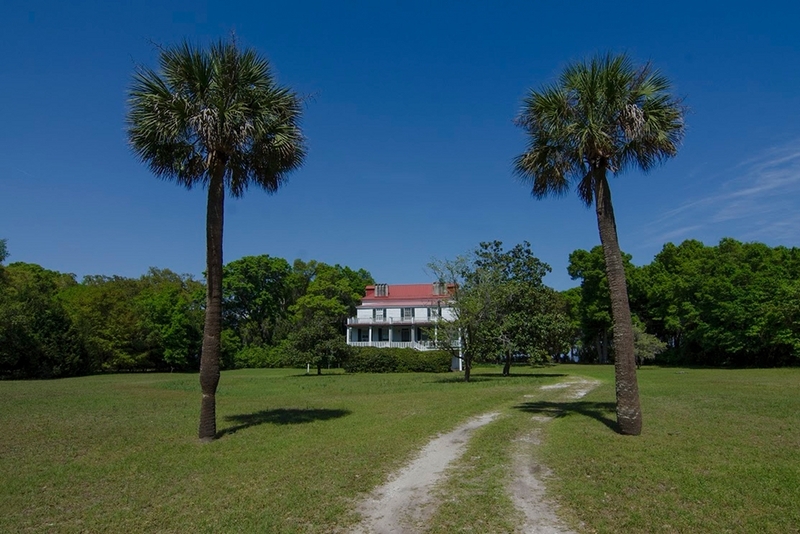 1952  The Cameron Family Trust sold all 932 acres to Beaufort County Sheriff James E. McTeer. Cotton was no longer being cultivated on the land. Sheriff McTeer constructed three spring feed lakes to support cattle, pigs, and chickens (8, p. 47). 1959  Hurricane Gracie caused much damage to the area including the house. The McTeers moved into the caretaker's house while repairs were made to the main house (8, p. 47). 1963  McTeer retired as the sheriff and started a new career in real estate. He divided the property into residential lots (8, p. 47). 1969  Authors George and Priscilla McMillan purchased the tract of land that included the original house (8, p. 48). Number of slaves  63 in 1801; 260 in 1862 (8, p. 45). House sits on high ground overlooking St. Helena Sound. 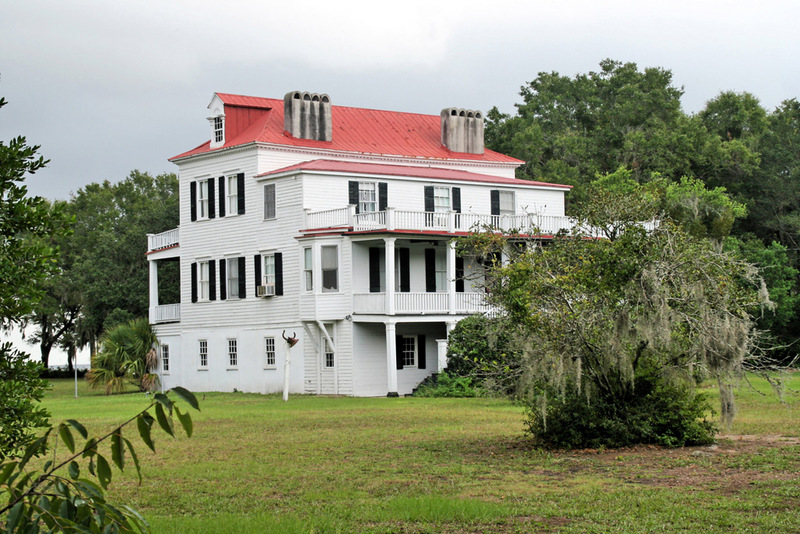 The caretakers house remains adjacent to the Coffin Point Plantation property (1, p. 2).